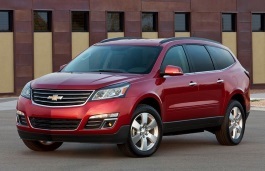 Correct Wheel Sizes, PCD, Offset, Rims and Tire specs for Chevrolet Traverse series. Will tire size 275/65r18 fit on a 2012 Chevy traverse LT? Will rims for ford expedition fit for traverse ? I have a 2011 Chevy Traverse with 245/65/r17 tires on it. Are there any other size tires that will fit it on the same rims. Hi,Cherene,255/65/17and 235/65/17can fit for your car. 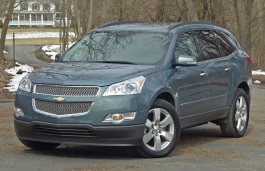 I have a 2011 chevy traverse 255/65/18. Will any other sizes work for my car? Hi,Kenny,You can try 285/60/18 and also 265/65/18.For more,you can try tire calculator. Hi,Hugo,24'' rims is too large for your car. will a 50mm offset work on my 2009 chevy traverse - I have 60 mm offset now - everything else is the same on rims? I have an 09 traverse. 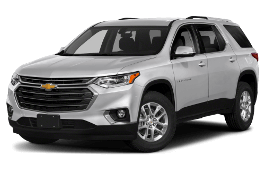 Will a traverse take a 16 in tire and rim? Hi, I have a 2011 Chevrolet Traverse LS AWD with 245/70R17 tires on my car now. Question, will a 245/75R17 fit on my cars rim? And still be safe. hello....my tyre size is 255/55 r20 .chevrolet Traverse. can i put 265/50 r20? Can I use 265/50/20 tires on my 2009 traverse LTZ two wheel drive? It currently has 255/50/20 on it. Hello, I have a 2014 Chevy Traverse LS, can I put 245/65R17 on it and be safe? Hi,Debbie,No,245/65/17 is not compatible for your car. Hi,Jose,What the current tire size of your car? Can I put a full size 20 x71/2 spare in my 2012 Traverse? Will the holder fit around it? Will the cable hold it? Will it fit in the spare well? Hi, I have a 2009 Chevy Traverse Lt AWD with 255/65/18 tires on it. Will 265/65/18 tires fit on it? Hi,Richard Allen,these two tires are compatible.you can try it.